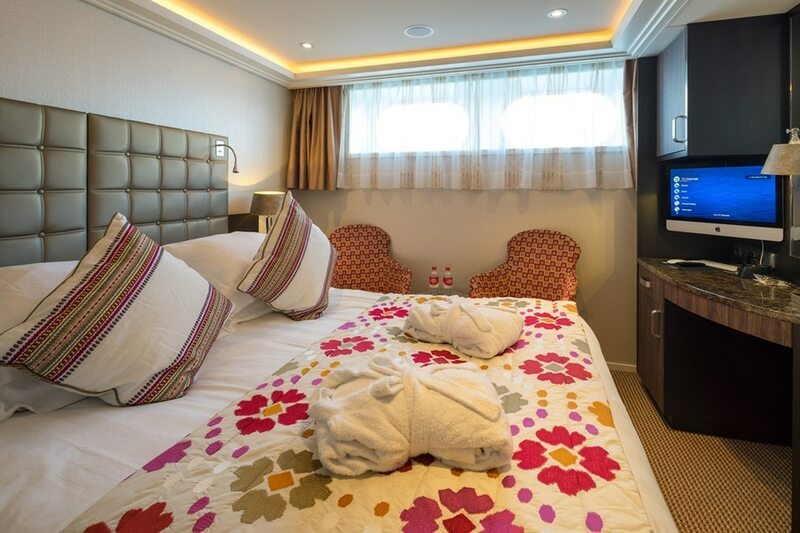 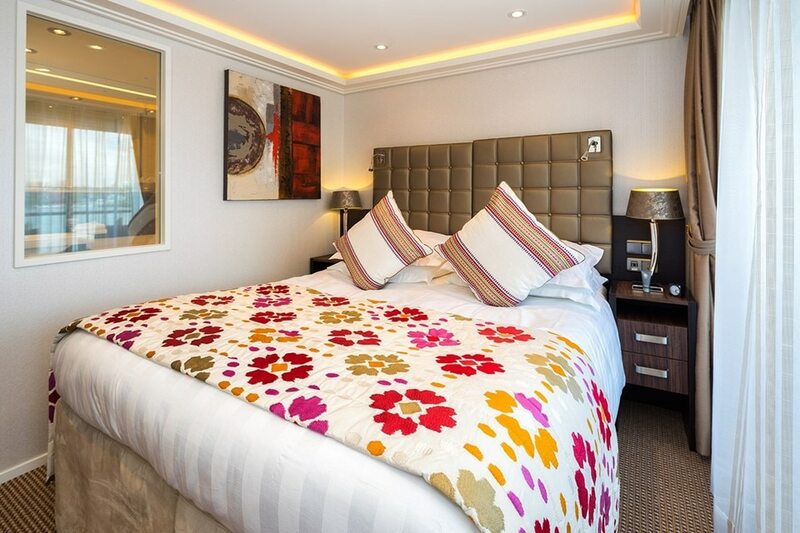 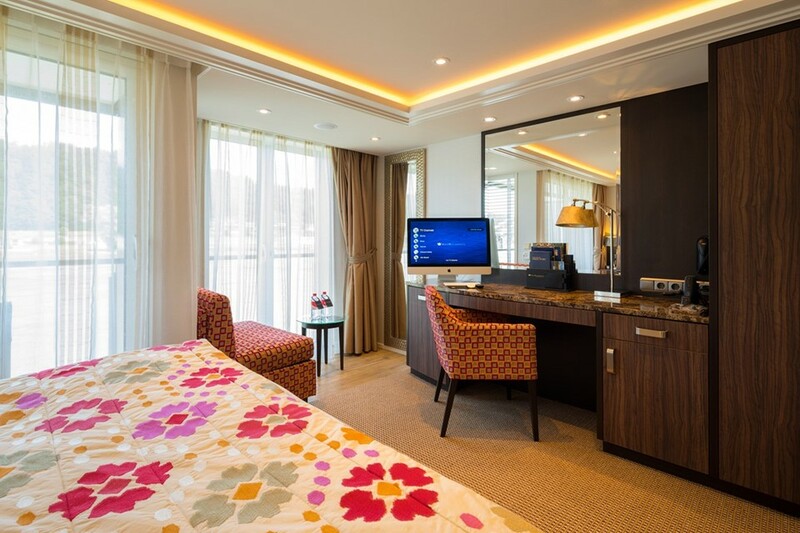 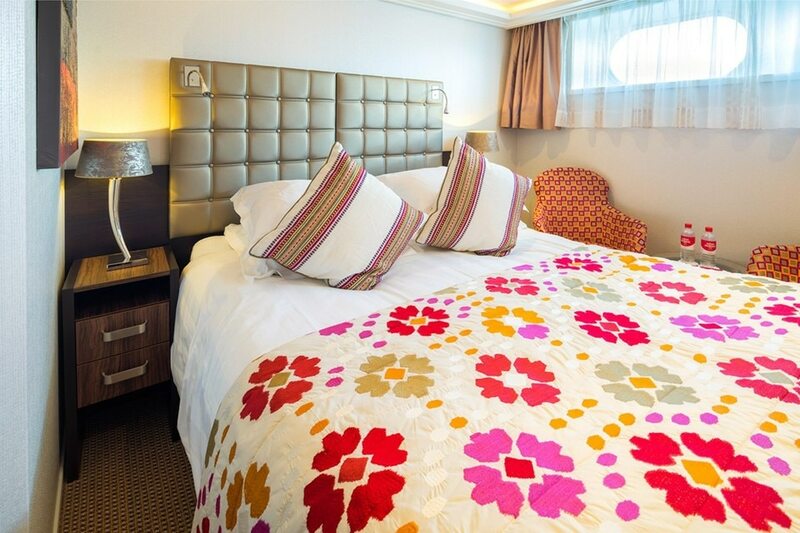 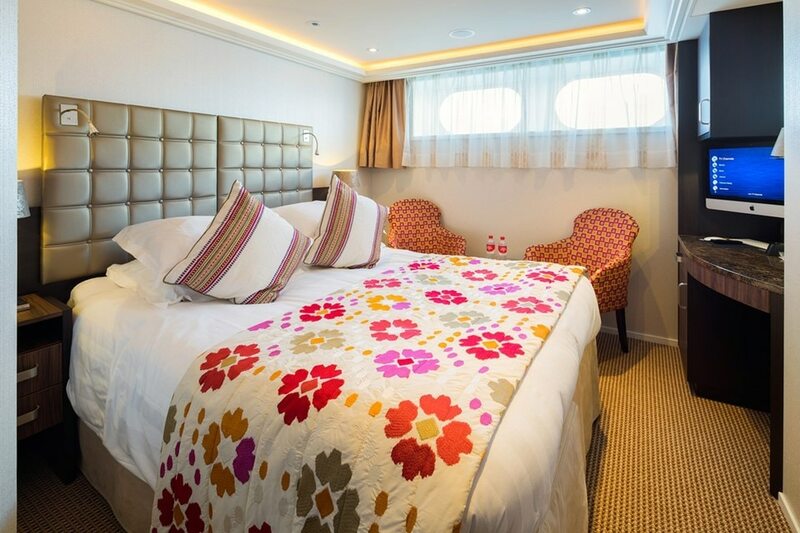 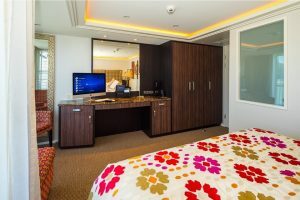 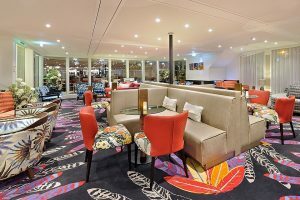 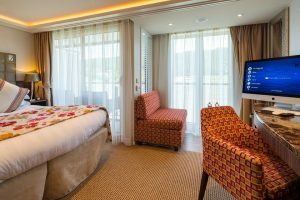 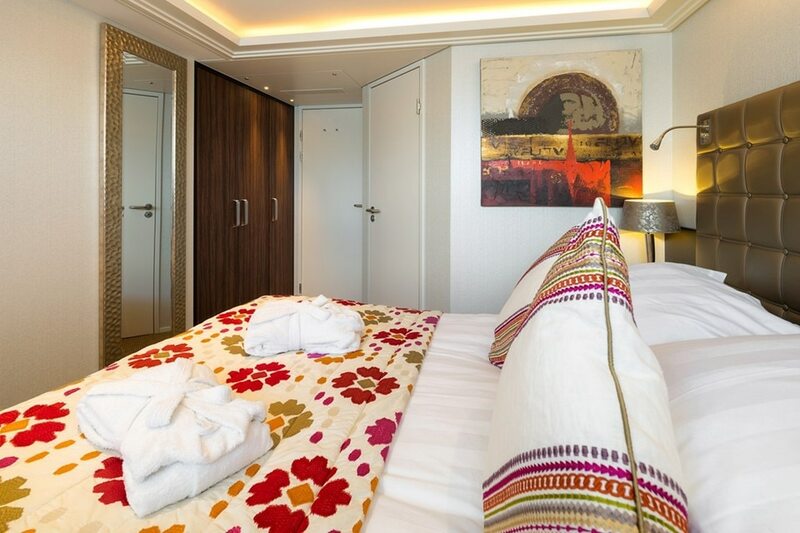 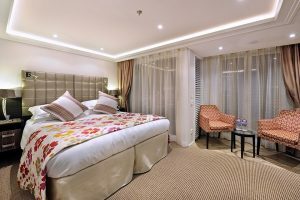 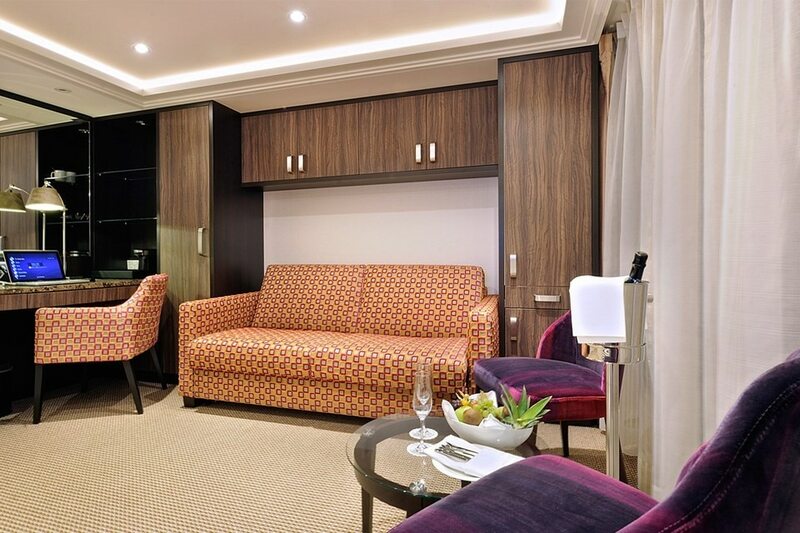 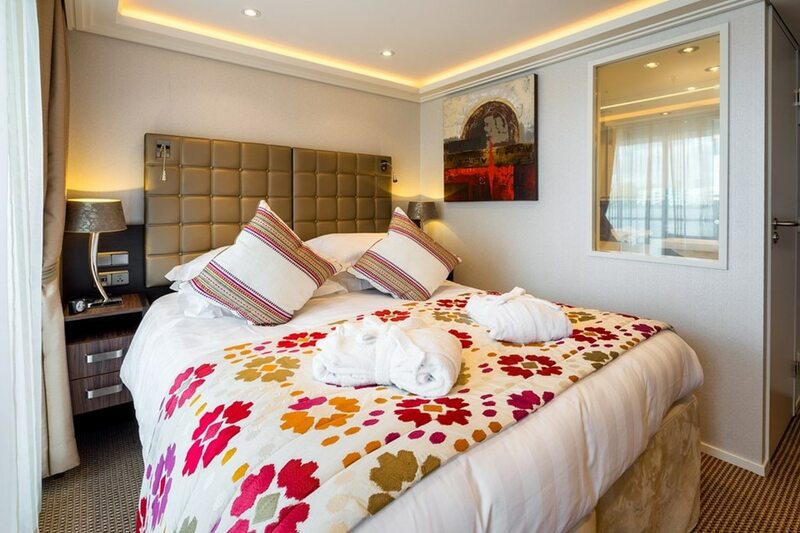 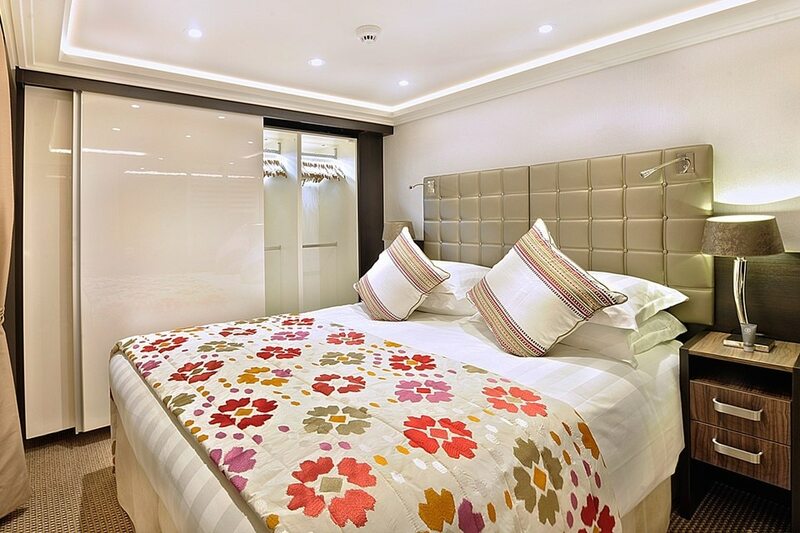 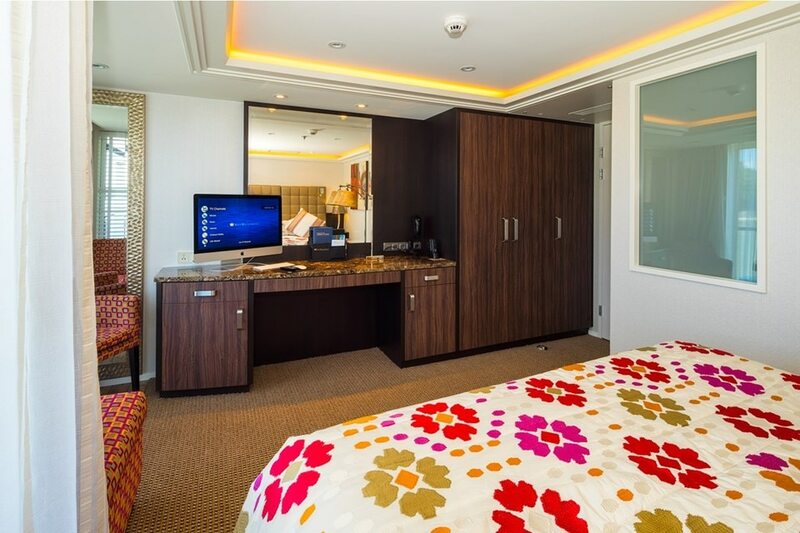 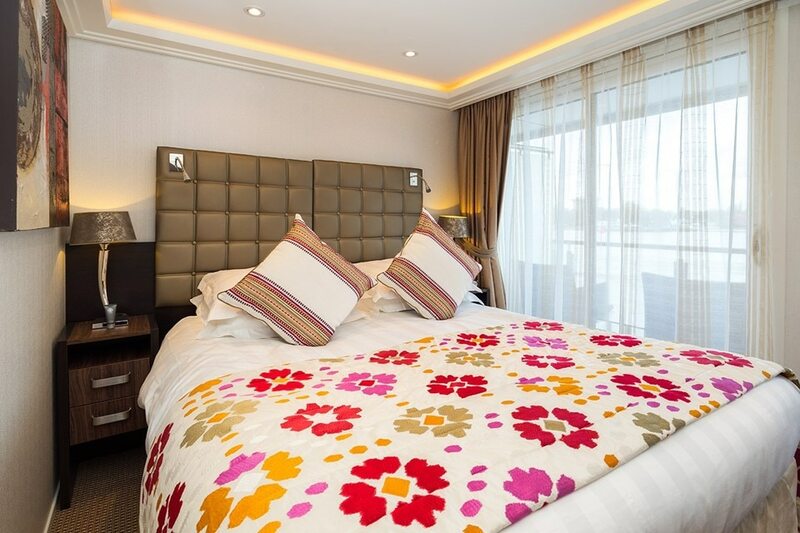 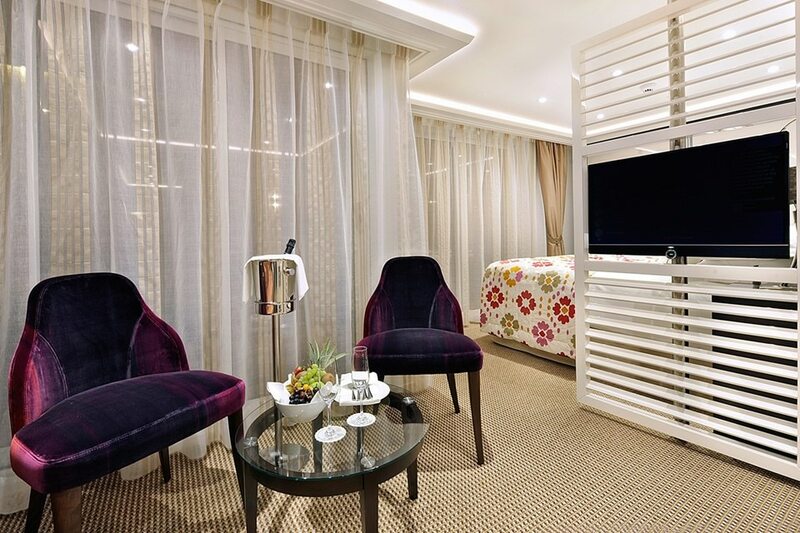 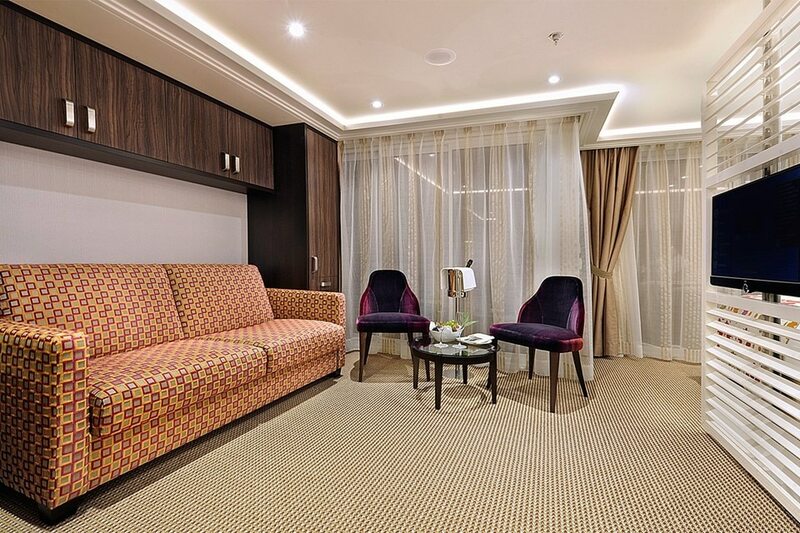 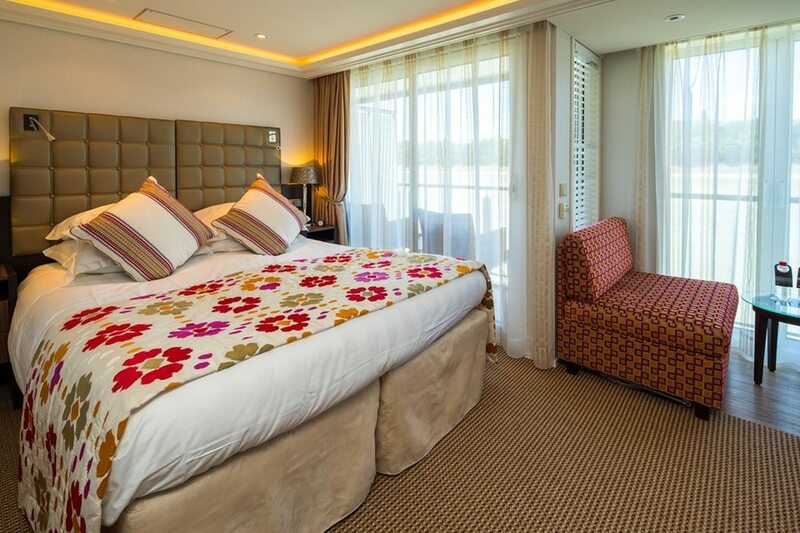 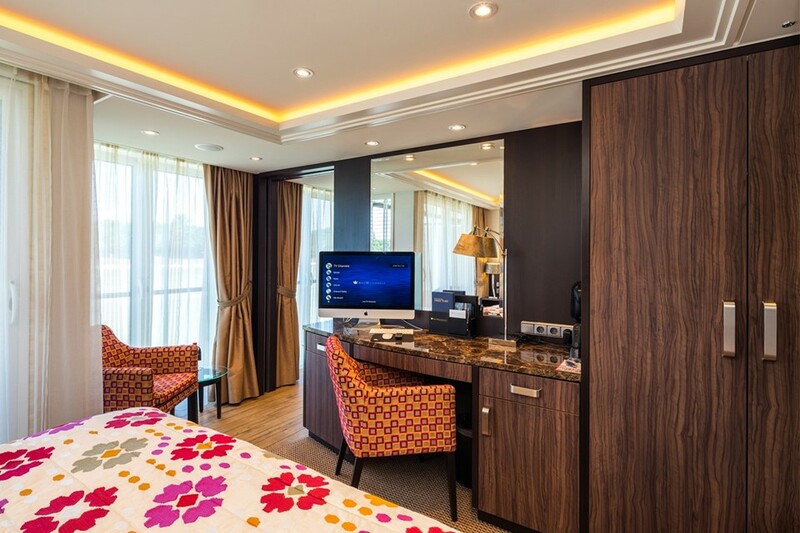 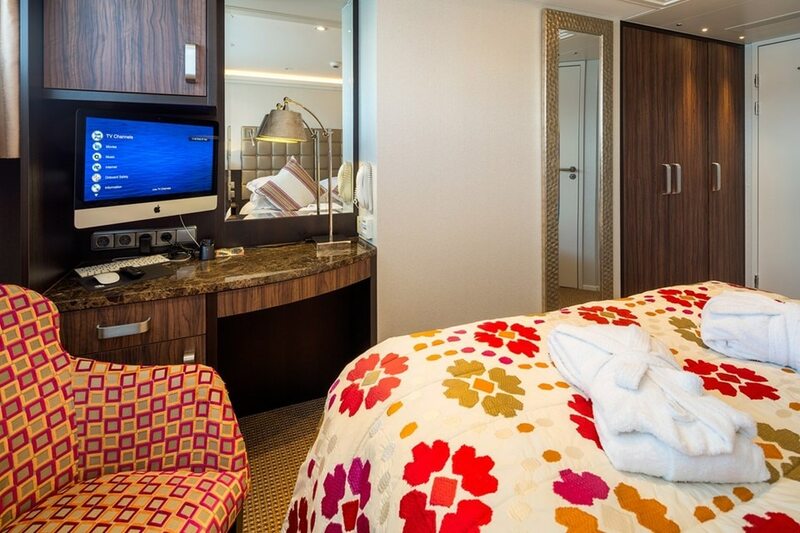 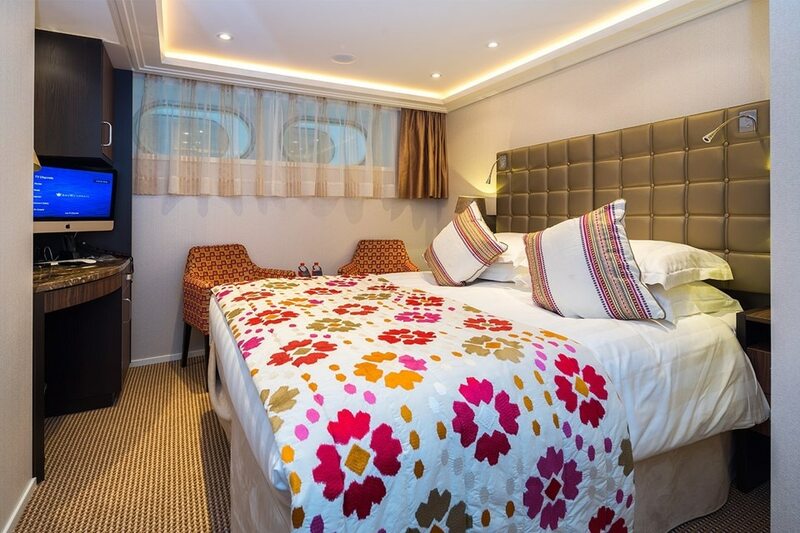 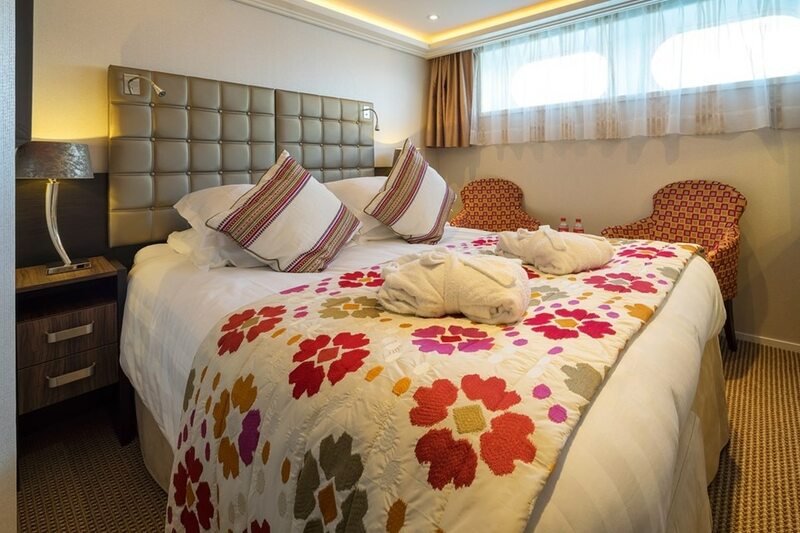 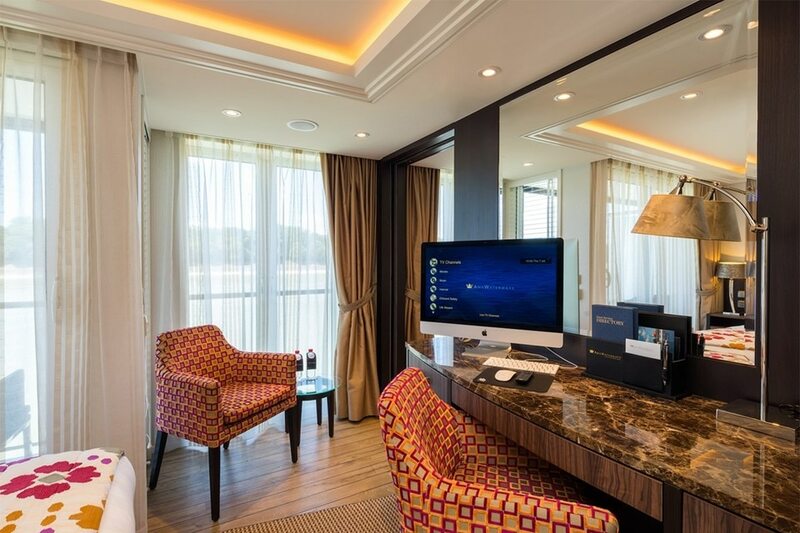 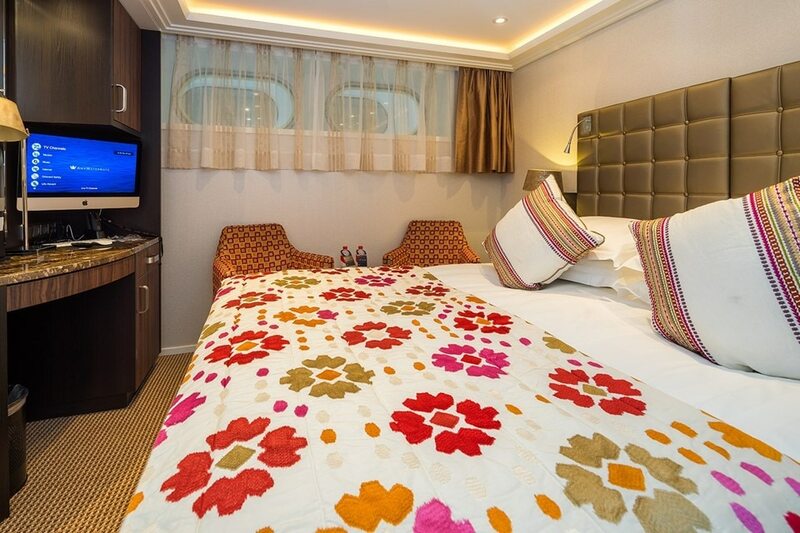 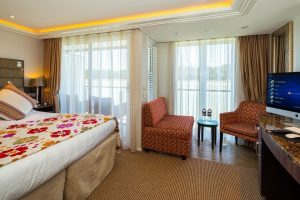 Brightly colored floral and geometric patterns from stateroom to Main Lounge immediately show you that the AmaViola is no ordinary river cruise ship. 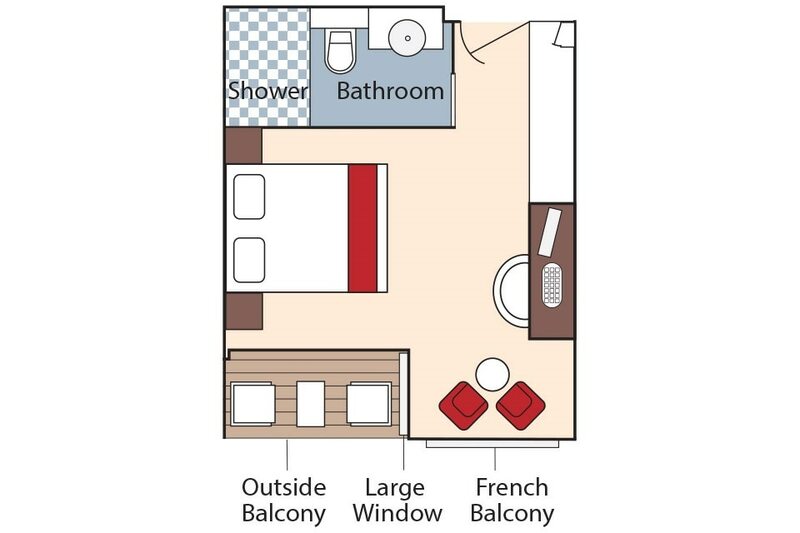 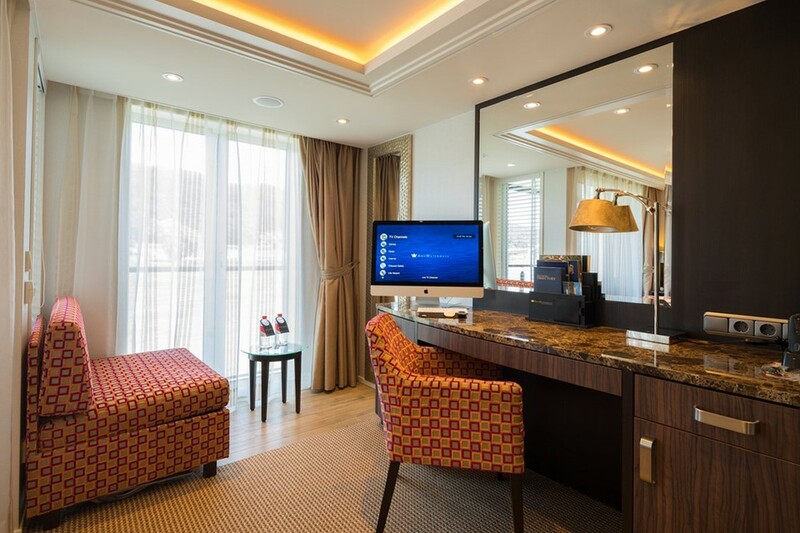 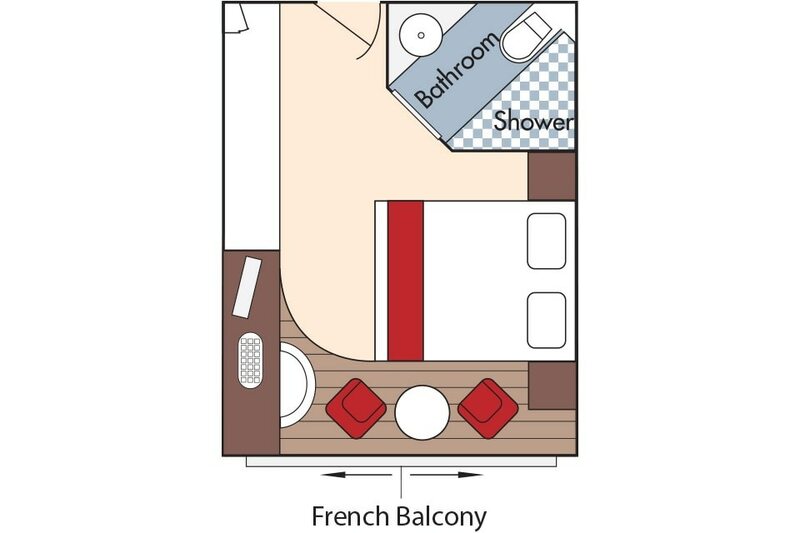 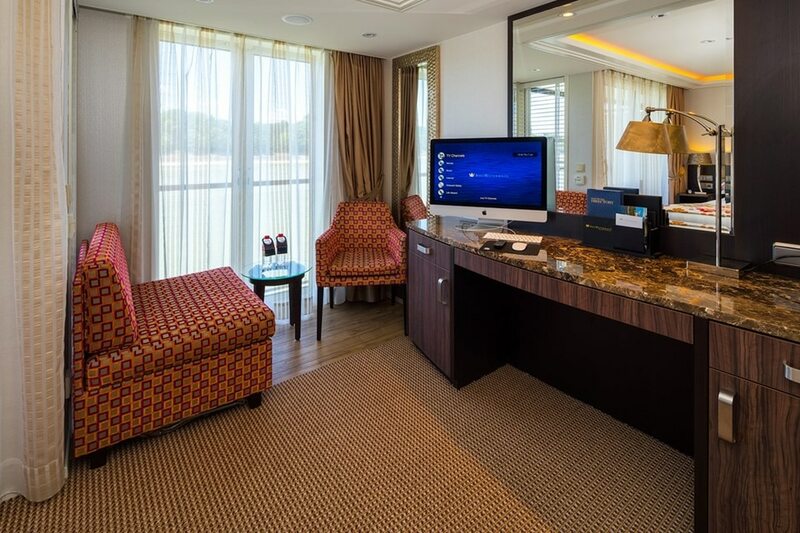 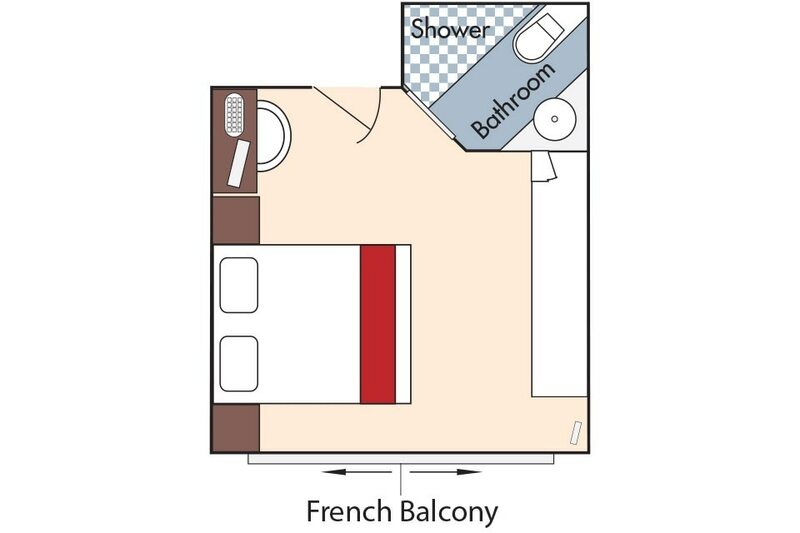 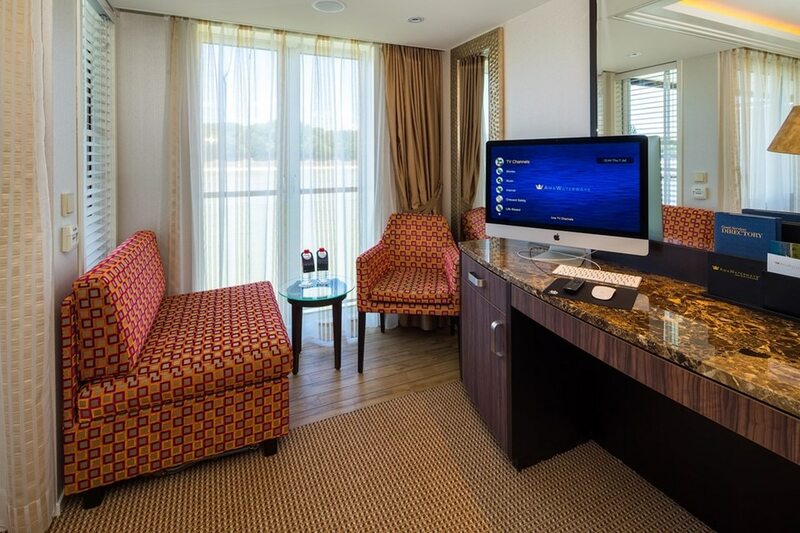 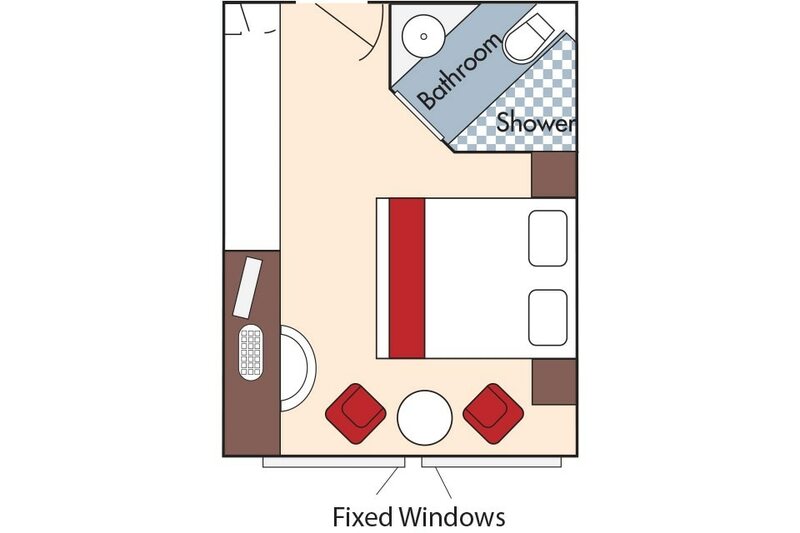 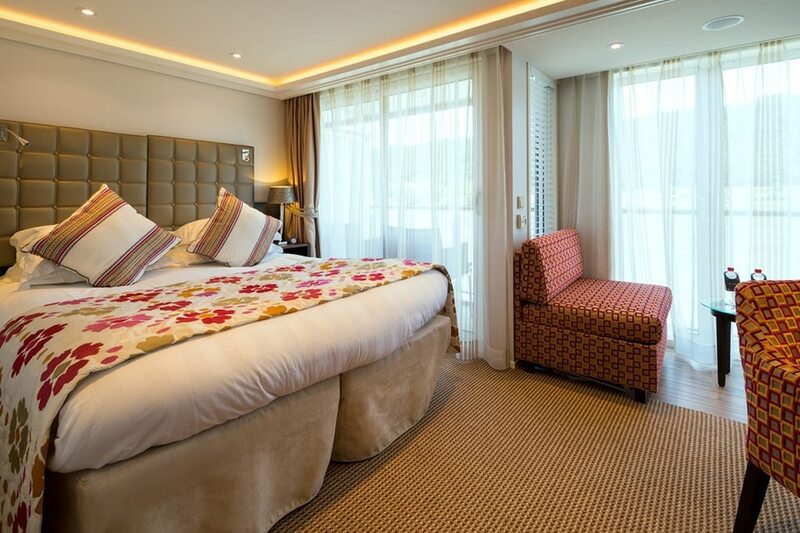 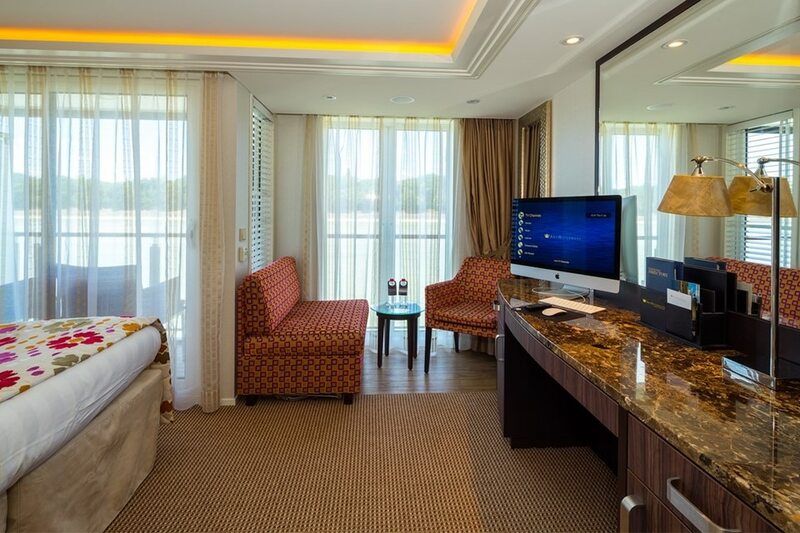 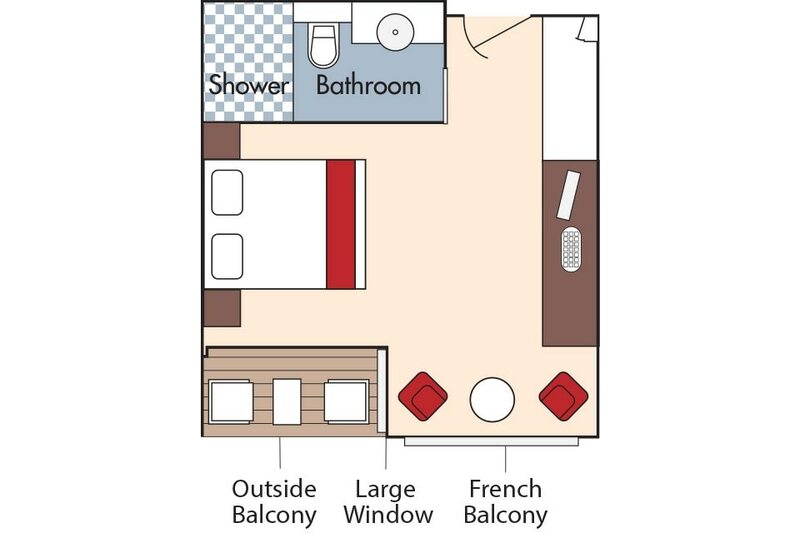 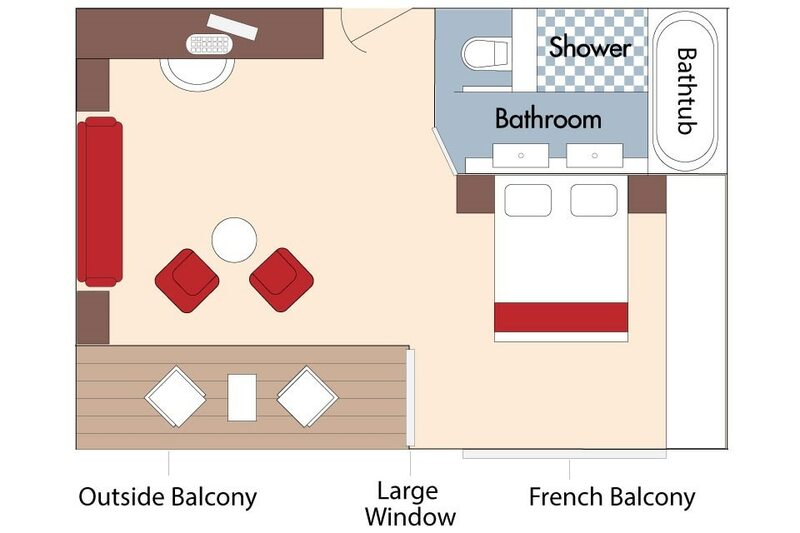 Twin balconies in most staterooms maximize your enjoyment as steeples and vineyards glide by. 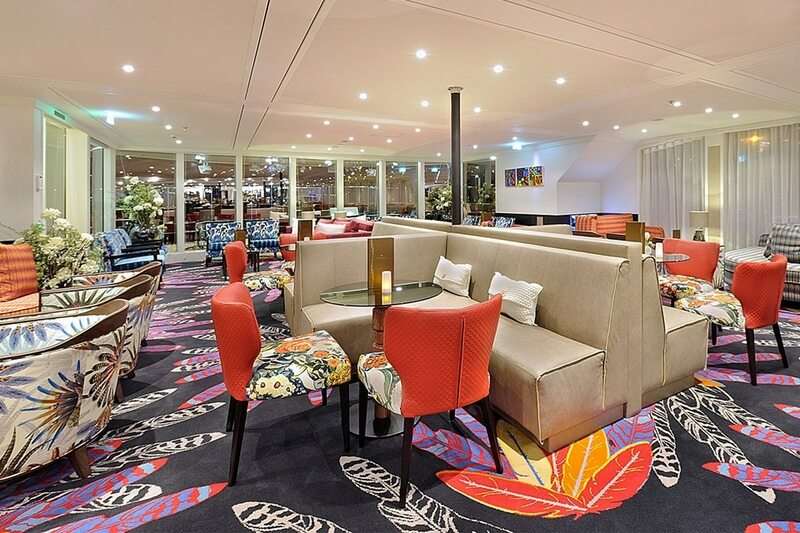 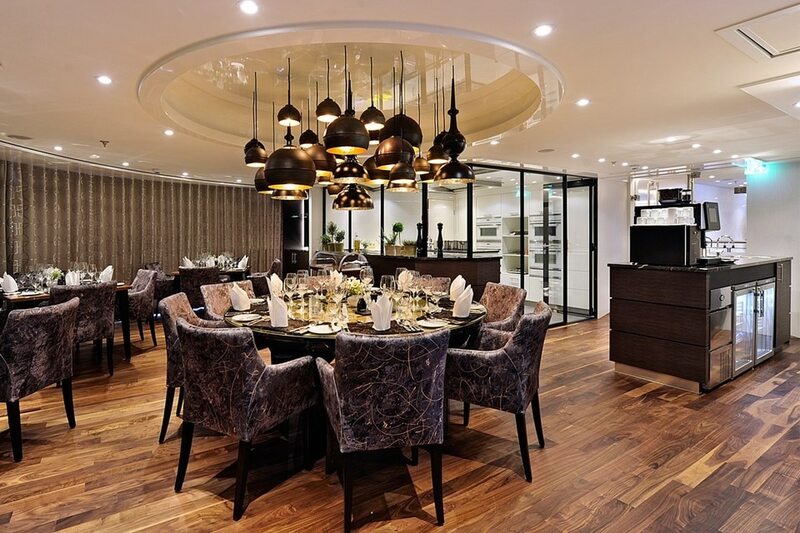 Mouthwatering cuisine worthy of La Chaîne des Rôtisseurs, an exclusive and internationally renowned gastronomic society, is served from sunrise to sunset. 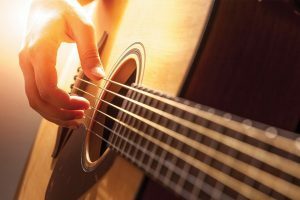 There’s something symphonic about the flourish and style of The Chef’s Table specialty restaurant and the coordinated effort to serve each bold, beautiful and delicious course of the regionally inspired tasting menu. 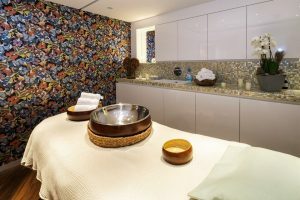 Butterfly wallpaper in the hair salon highlights how you’ll emerge brand new while an inviting Sun Deck pool with a swim-up bar refreshes your spirit. 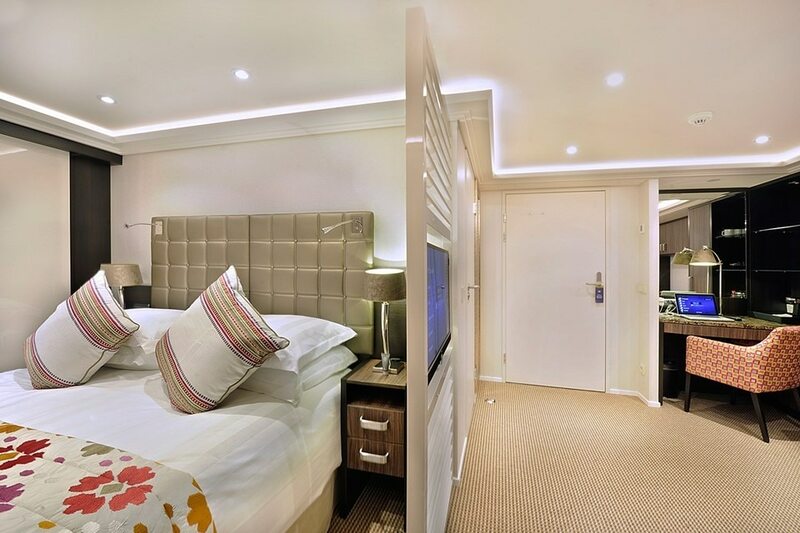 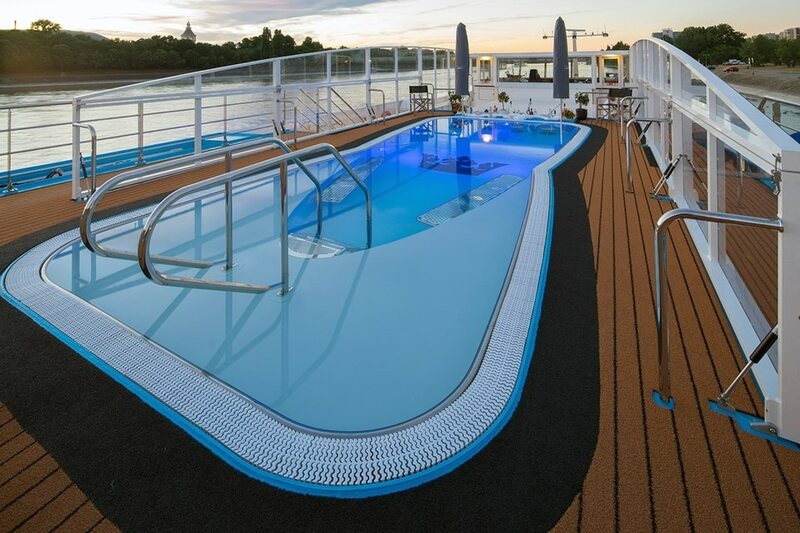 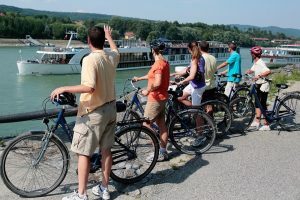 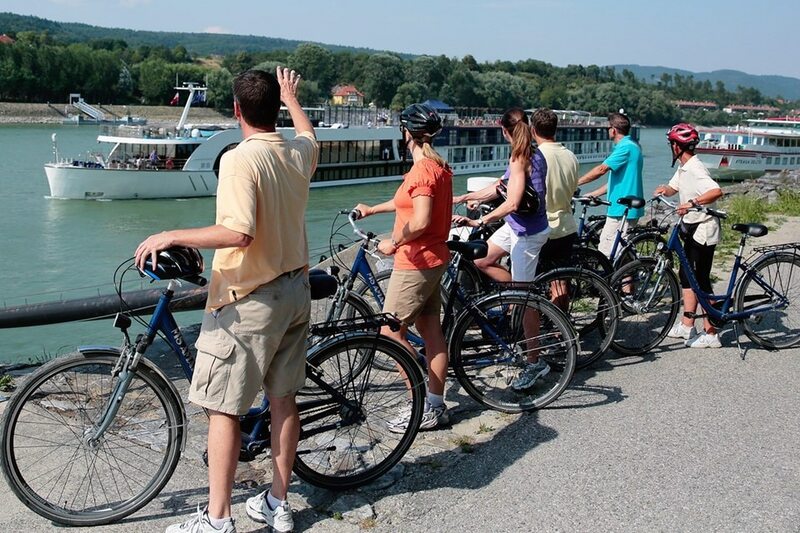 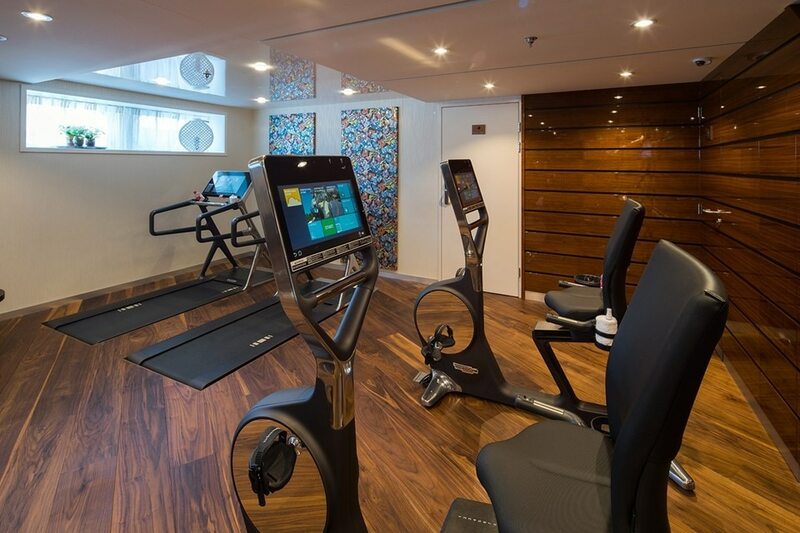 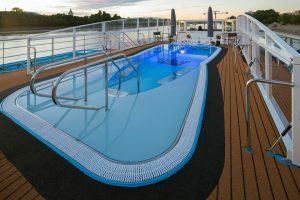 Plus, AmaViola inspires you to be the best version of yourself with a walking track, fitness room and fleet of onboard bikes to keep you happy and healthy during your cruise.